WhatsApp Group Chat – What’s lacking in a Recruitment Consultants work and how to fix it? In the discussion above we’ve covered three important aspects that matter namely, Recruiters, Team Leads and Candidates perspectives. Within the aspects spoken about we also find the pros and cons listed out of Recruiters, Team Leads and Candidates. We’ve even got solutions and suggested improvements for the parties in question. The Cons can be considered as improvements for those of us who are determined to excel at the profession of choice. Corporate HRs should avoid setting expectations in terms of sourced profile but in terms of right profiles. Both types of Recruiters i.e. Corporate or Consultant should have the common understanding that both will benefit only if the Candidate joins. Recruiter’s should have strong convincing skills, be able to articulate well about the job and the organisation they represent. Understand a Candidates right career path by understanding their current roles, responsibilities and future growth. Now that we’re clear on the aspects that need to be improved let’s implement them as Consultants to make us better Recruiters. And if you’re a Recruiter then you’ve also been a candidate at some point so let’s make the improvements we need to be better at what we do and grow in the process. After all this is the reason for us to have such informative discussions with Thought Leaders in the Talent Acquisition Sphere so that we can enlighten ourselves. If you’re not part of these discussions then it’s time you did so follow us @SourcingAdda and Tweet us if you’d like to be a part of these discussions. There are several Industries with challenges and the Talent acquisition Industry is no exception. When it comes to the growth of a business it is absolutely essential to have Talents that have the desired calibre. And that begins from the Talent Acquisition department. We’re all familiar with the challenges that we face as Talent Acquisitionist’s but let’s find out if there are some that we’ve not come across as yet. 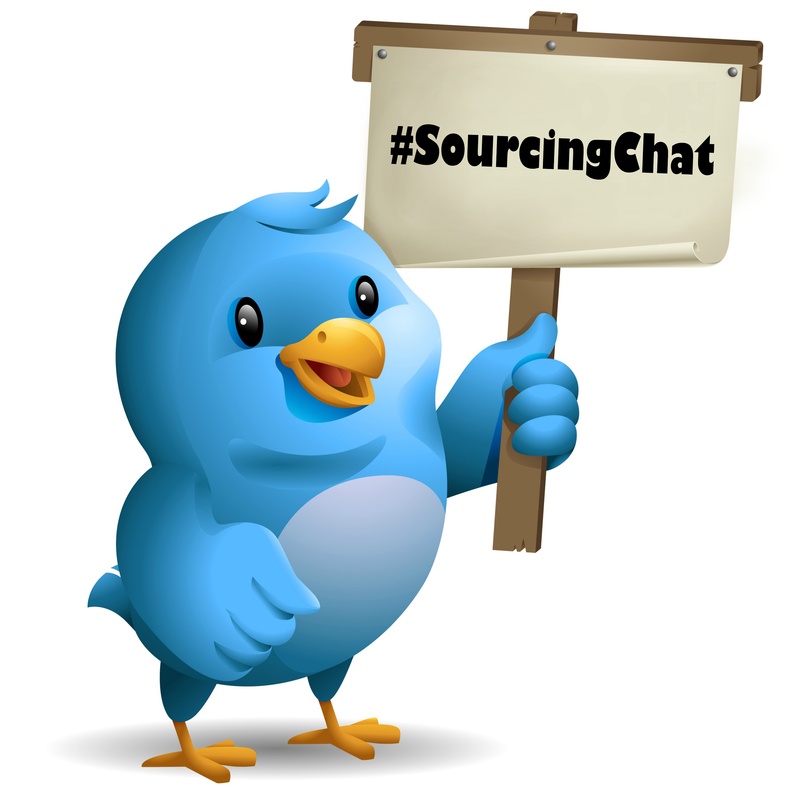 Therefore our popular #SourcingChat topic was on, “Challenges for Recruiters in the Technology Age.” To catch up with the discussion you can view the #Storify as we’ll be covering only the Top Tweets of the #SourcingChat. @SourcingAdda #SourcingChat A.4 Candidate experience so far has not improved since we do not even send an apology email to rejected once. Well there you have it the Top Tweets of the #SourcingChat that was held. To know more view the #Storify. In the meantime be sure to follow us at @SourcingAdda to receive real time updates to our upcoming events and activities. Don’t go just yet; do leave us your views in our comments section as we’re looking forward to them. WhatsApp Group Chat – Operational report maintained for mid – managerial Hiring or Talent Acquisition function? A Talent Acquisition professional usually maintains an operational report as a Talent Acquisition function for different types of hires one such being mid-managerial hires. Ever wondered what your fellow Talent Acquisitionist follow for their Operational report? An excel sheet was developed with the assistance of a developer which can act as an aggregator in our Sourcing and Management efforts. Generate reports via third party / ATS system; one can get the desired report with any factors regarding recruitment, in different forms of slice and pivot. Prepare detailed analysis on any challenges faced while filling a Position. Detailed reports, vlookup, pivot tables are to be analysed and process at operation / audit level. From the discussion above we can conclude that the advantages out – weigh the disadvantages. But excel is quite a handy software to have easy access to especially for tracking the lifecycle of either a Talent Acquisitionist or even for Talent progress tracking before the candidate comes on board. Who knew how much easier simple software like Excel can make us so efficient where maintaining data is concerned. So if you’d like to be part of such discussions then be sure to follow us @SourcingADDA to gain real time updates to our upcoming events and activities. In the meantime we’d like to hear your inputs as well so leave your views in the comments section.